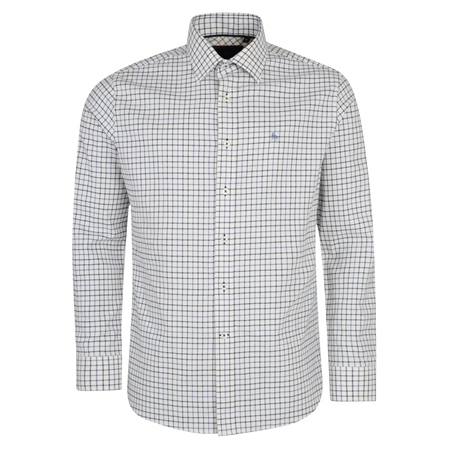 A classic cream shirt with a blue and navy tattersall check made from our luxurious 100% cotton fabrics. The shirt is from our AW17 casual shirt collection, pair it with the Camel Country Check Herringbone Donegal Tweed Classic Fit Blazer. I am well pleased with this, my first Magee shirt and already a favourite. Excellent fabric, detail and finish: comfortable in every respect. help offset this and their quality, design and individuality make them good value. Great shirt but no pocket. Miss it.